As a Sales Advisor you meet customers on behalf of Monki—a truly key position. You will take on the challenge of finding your own way of taking customer service to a new level. One part of that will be to be a Sales Advisor the Monki way: being friendly, giving that little something extra. A second part will be keeping up and constantly improving the standard in your store. In this role, you represent and present our brave,fun, empowering and friendly brand and our collections in the best way possible! You love fashion and take pride in your personal style. You also love helping other people find the fashion and style that they love. As a Monki person, you know that it’s cool to be kind! You combine a friendly nature and a love of hanging out with and talking to all sorts of people with a professional attitude. You are open-minded and willing to learn. And you are either a great salesperson already, or have the goal to develop great salesmanship in order to give great customer service. 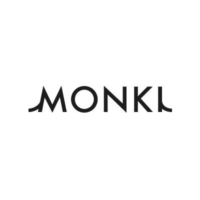 You look forward to joining Team Monki, and help develop your store through great teamwork to make it the best it can be. Working in a fast paced environment suits you. Please note that we are an international company, and that good English is a major plus, and in English speaking countries, a must.